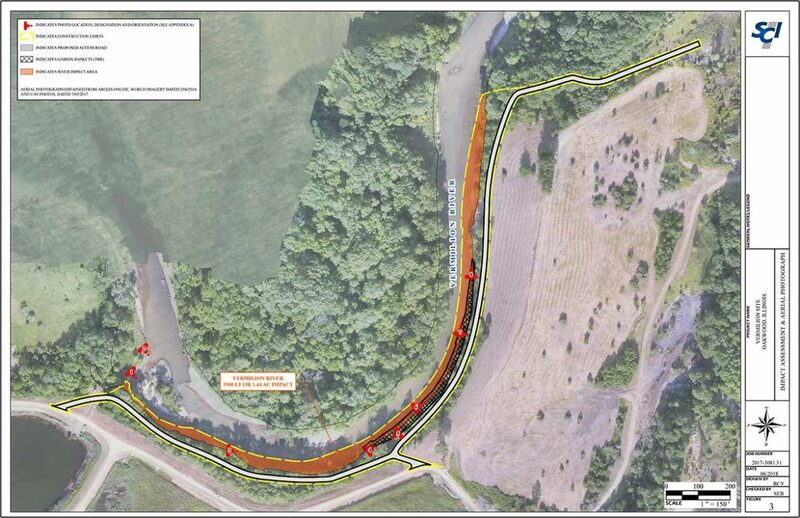 The U.S. Army Corps of Engineers is seeking comment on a proposal by Dynegy Energy Midwest, LLC to install a rock wall to prevent millions of gallons of coal ash from polluting the Middle Fork River in Vermilion County. The coal ash is the residue from burning coal at the Vermilion Power Station, which operated between 1955 and 2011. Coal ash is considered extremely hazardous because it contains highly toxic chemicals and heavy metals such as arsenic, mercury and lead. There have been two major spills of coal ash in recent years that led to widespread environmental damage and more than $7 billion in cleanup costs. Dynegy Midwest is the former owner of a power plant at the site, which has three ponds that hold 600 million gallons of toxic coal ash within a few yards of the Middle Fork River. Dynegy Midwest merged with Vistra Energy earlier this year. Local officials and environmental groups have pushed to have the ponds removed, complaining that the waste left in the ponds is contaminating groundwater and the river. A federal judge dismissed a lawsuit filed earlier this year alleging violations of the Clean Water Act. 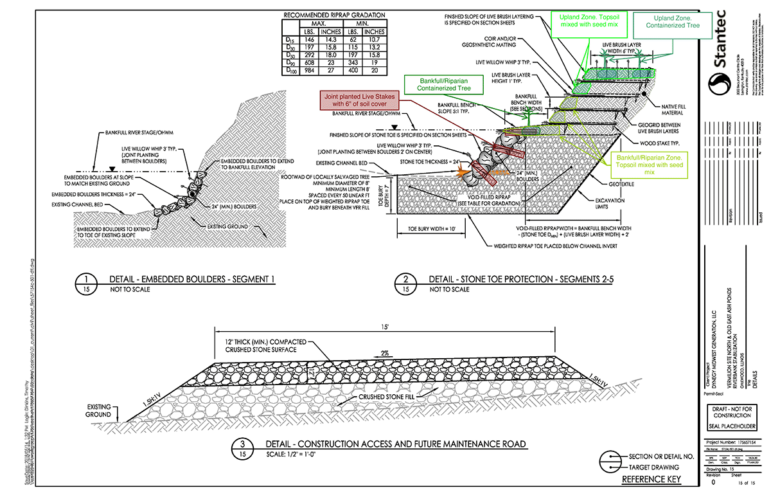 Dynegy now proposes to construct a 1,900-foot long wall of rock on the Middle Fork to stop erosion of the riverbank near its coal ash ponds, and the possibility of a massive spill of toxic coal ash into the Middle Fork. A spokesperson for Vistra, the parent company of Dynegy Energy Midwest, said the stabilization is needed and has been stalled for too long. “This plan would stabilize the riverbank using technology that has been successfully demonstrated through a 2016 project along a 485-foot stretch of riverbank that abuts company property,” said Meranda Cohn, Vistra’s Director of Media Relations. Government agencies, businesses and environmental groups in east central Illinois have said the wall is only a temporary solution, and that its construction – and the wall itself – would damage the Middle Fork, Illinois’ only National Scenic River. They maintain the only way to eliminate the risk is to move the coal ash. "The proposal to put the rock along the river is just a stopgap measure, if that, because eventually the river will erode it away," said Kevin Green, a member of the Vermilion County Board. Documents obtained through public records requests show the scale of the stabilization plan. If approved, a wall of rock would be installed across 10 feet of the river bottom, and along the bank for more than a third of a mile. The river bottom along that stretch would be excavated to a depth of seven feet and filled with a mix of rock. Parts of the riverbank under two of the ash ponds would also be removed and filled with rock materials. The company then would install 24-inch boulders along the riverbank. Vermilion County officials and environmentalists are concerned that the proposed wall is a prelude to a forthcoming Dynegy proposal to “cap and leave” the ash ponds next to the river. Construction would limit recreational access to the river for at least nine months near Kickapoo State Park, a destination for more than a million people each year. Local and county government groups and environmentalists have called for a public hearing on the application. Sarah Keller, the project manager for Dynegy’s permit application at the U.S. Army Corps of Engineers, said a public hearing may be called if comments show a public interest. "We will process all the comments that we receive and they will be provided to the applicant for response and rebuttal if necessary," she said, "and at that time the public does have the right to request a public hearing." Because the proposed construction may affect water quality, endangered species, and the natural state of the Middle Fork, the permit application is also being reviewed by the Illinois Environmental Protection Agency, the Illinois Department of Natural Resources, the U.S. Fish and Wildlife Service, and the National Park Service. Public comments will be accepted through January 10, 2019. Comments can be emailed to the Corps of Engineers at lrl.regulatorypubliccomment@usace.army.mil, with the public notice ID “LRL-2018-602-sjk” only in the email subject line.